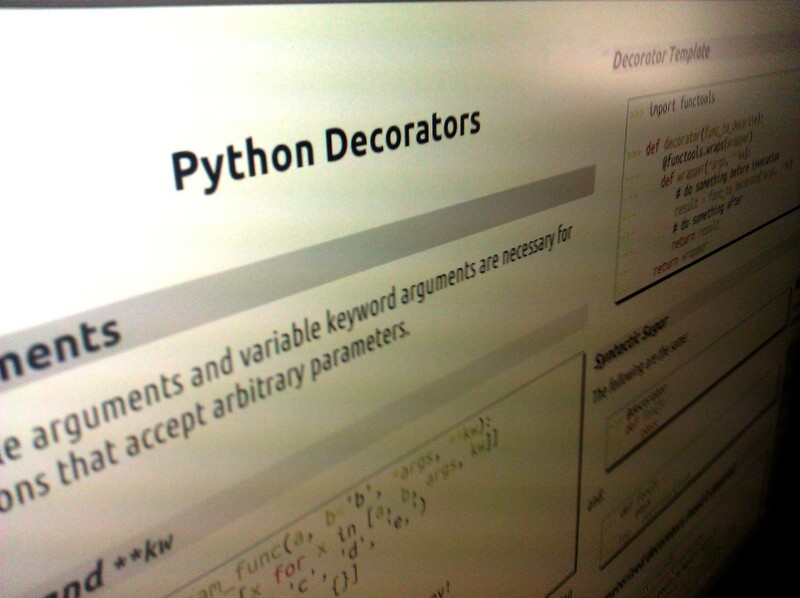 I mentioned in my recent SCALE10x talk that I would have a handout/cheatsheet for Python decorators. Here is a pdf version of the Decorator cheatsheet. It has templates for normal decorators and parameterized decorators. Enjoy! edit — I apologize for the typos uploaded previously. I ran the handout through doctest and it should be good to go now.